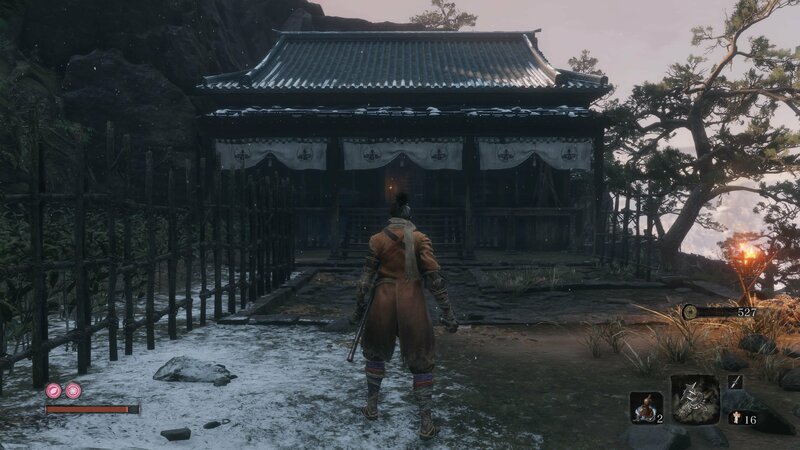 Pierce your foes from afar with our guide on where to find the Loaded Spear location in Sekiro: Shadows Die Twice. No matter your preference for stabbing, slicing or burning, collecting all of Sekiro: Shadows Die Twice’s shinobi prosthetic tools is a must. While most can be grabbed fairly early in the game, the Loaded Spear takes a fair bit of work before you’ll be able to unlock it. 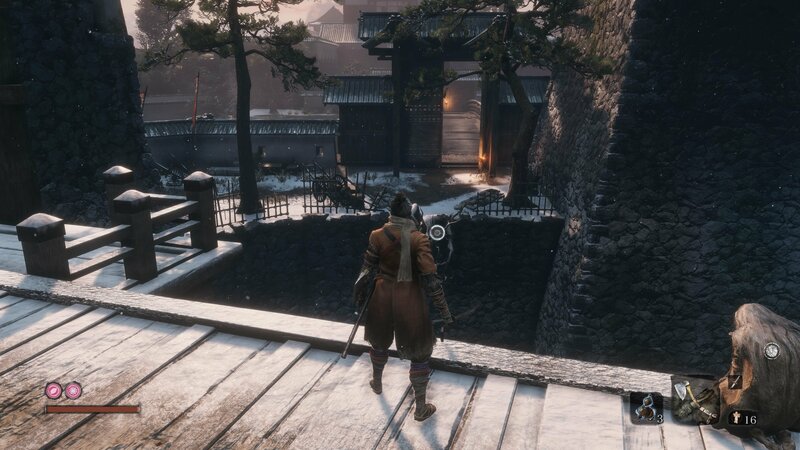 In this guide we’ll walk you through how to reach the Loaded Spear location in Sekiro: Shadows Die Twice. The Loaded Spear is a neat prosthetic tool that can be used to interrupt attacks and poke through guards to pull enemies towards you. It's also effective against certain heavier and armored foes, able to tear their protection off them. 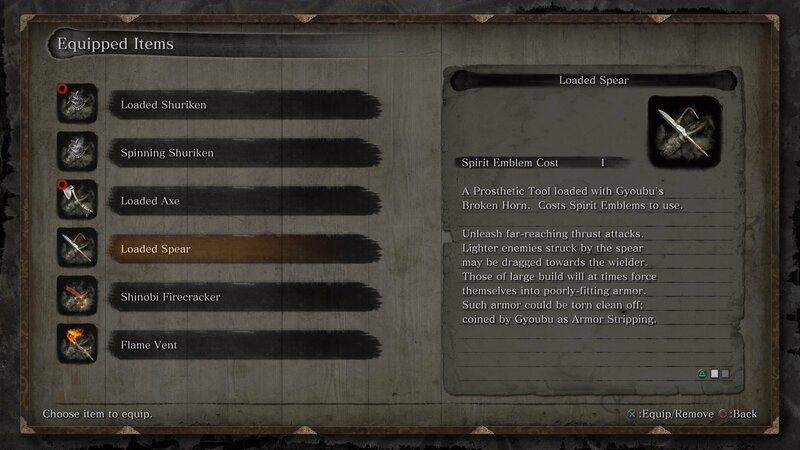 To obtain it though, you’ll need to have reached the Ashina Castle Sculptor’s Idol. Facing towards the castle from the bridge before the idol, turn left and jump off, grappling to the branch ahead. On the bridge here are two guards you can eavesdrop on. One you’re done listening, kill them to gain the guardhouse key. Instead of progressing further this way, head back to the idol, pass through the gateway and turn left where the remnant is. Enter the room ahead and drop down through the large hole. Exit the building to find the Ashina Reservoir Sculptor’s Idol. You should recognize the area past the two guards ahead, as it’s where snuck through at the very start of the game. There are a lot of enemies here, including two club-wielding ogres and several riflemen, so be careful. Stealth can help you take them out, especially if you sneak round the edges, just watch out for the monkey up on the path to let left, as he’ll alert everyone in the area. Take the route up to the left where the riflemen were, and approach the house here. You’ll have snuck underneath the floor here in the opening of the game, but this time we’ll be unlocking the house itself using the key we picked up from the guards on the bridge. 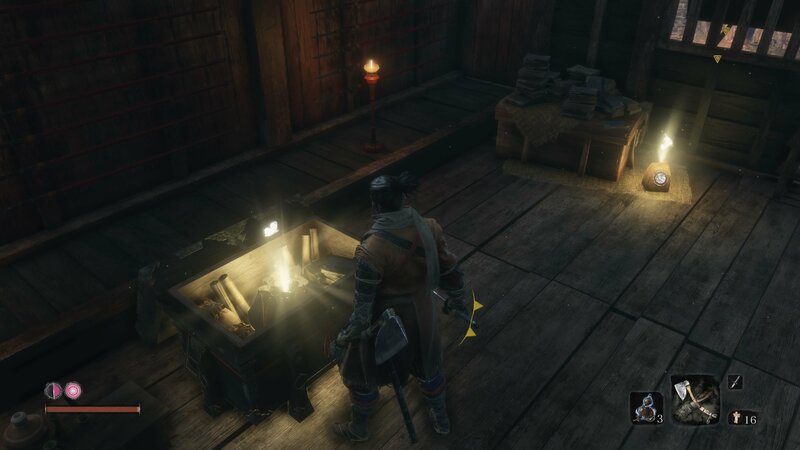 Inside you’ll find a chest with the spear part in, along with a heavy sen pouch. Return to the Sculptor with the spear part to craft the Loaded Spear shinobi prosthetic tool. While this won’t prove as immediately useful as the Loaded Axe, it’s still a great combat tool to have at your disposal, so don’t miss it. Now that you know where to find the Loaded Spear location, make sure you’ve grabbed all the other shinobi prosthetic tools so far. We have guides for all the Shinobi Prosthetic Tools so read them all for the full set in Sekiro: Shadows Die Twice.